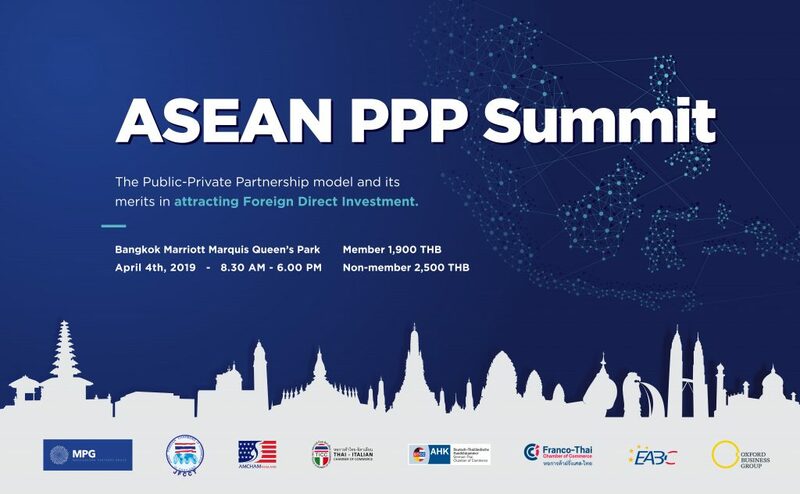 The Thai-Italian Chamber of Commerce (TICC) in collaboration with Mahanakorn Partners Group, Joint Foreign Chambers of Commerce in Thailand (JFCCT), Amcham, Franco-Thai Chamber of Commerce (FTCC) and German Thai Chamber of Commerce (GTCC), presents the second year of the successful “ASEAN PPP Summit: Public-Private Partnership 2019”, a one-day conference featuring distinguished keynote speakers from the Private Sector and the Royal Thai Government addressing issues on infrastructure development in Thailand and South East Asia. Time: 8.30 AM. – 6.00 PM. For registration and more information: https://www.thaitch.org/event/asean-ppp-summit-2019.